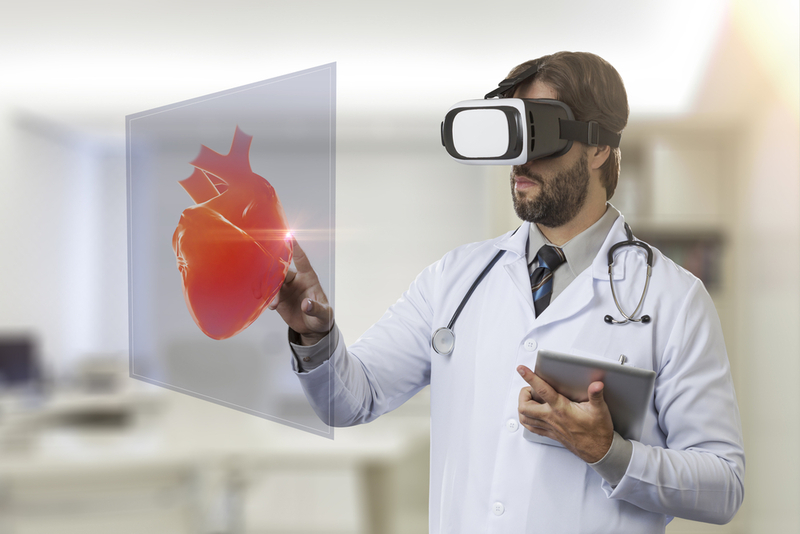 In the technical world, the healthcare system uses the virtual reality technology. It is becoming important in the healthcare industry. The recent study shows that it offers a way to connect with the potential patient to fulfil their needs. It can easily make any operation simply without any hassle. It adopts surgery simulation, phobia treatment, robotic surgery and others easily. You can observe various benefits of using the virtual reality technology in the healthcare industry. Virtual reality developers can develop many health benefits to the user. It is a good one in these days and improves the way of quality of life. It changes the dimension of the user and gets the original VR(virtual reality) gesture. With the help of it, the patient can control the better environment. They do not fear and practicing the treatment for phobias and anxieties. You can get the better VR experience and expose the treatment to the virtual environment. It is safe for every patient and healthcare industry takes care of anything for them. You can experience some benefits during exposure therapy. It is a better way for treating soldiers in the VR mode. Today, it is the most useful one in the military veterans to treat any kind of disease in a perfect manner without any hassle. Now, many clinics and hospitals are experiencing with this type of technology. The treatments can manage in a safe and controlled environment. They helpful for them to deal with any instance handle easily and make it easy for others in their acquaintance. It is a beneficial option for the patient to get relieves the pain quickly. It is useful for treating the patient from the bone injury and other problem. It is to provide the primary therapy that helps you to get rid of the pain problem. The VR video game is help for the patients at the time of treatment. It can involve wound care, physical therapy and other in own pathways. It gives you better feel at while you take treatment. Every treatment procedure requires a different strategy and difficult to identify it. With the VR technology, you can understand many things in the medical terms. It has many options in training and education of doctors. It is different in the healthcare industry, and doctors perform many things on the artificial tissue. In a virtual environment, it is a safe platform for any kind of operation. It is highly flexible in the health industry and creates an opportunity to program with a variety of medical procedures. This system maintains a strong emphasis in the clinical and scientific methodology. It functions any operation easily and monitors the social behaviour of the patient. The virtual reality technology is the most useful tool in the healthcare industry. They can handle any kind of operation entirely. It is widely accepted one in the industry today for any type of treatment. It saves the money and time.